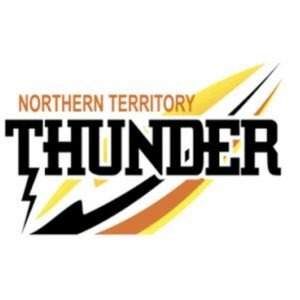 PRELIMINARY finals action is set to hit the Northern Territory Football League (NTFL) Men’s Premier League as Tiwi and Southern Districts do battle once again for the chance to meet Nightcliff in the big dance. 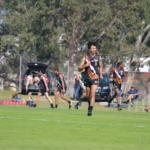 Tiwi and Southern Districts are set for their second finals clash in three weeks as they play off for a spot in the NTFL grand final on Saturday. Both sides have now taken full advantage of their second finals chance, as the Crocs bounced back to knock Waratah out of contention and Tiwi went down heavily to a roaring Nightcliff side. The premiership dream is still well and truly alive for both sides despite earlier speed bumps, and the history between the two teams this season suggests it will be a lively encounter. 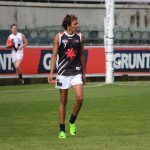 The Crocs accounted twice for Tiwi comfortably enough early in the regular season, but the head-to-head ledger now sits level as the Bombers got their own back with wins over their weekend opponents in Round 14 and the qualifying final. 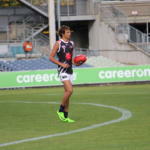 The chance to rectify those recent losses will play as motivation for Southern Districts, on top of the opportunity to play off and defend its 2018 premiership. With identical form lines in almost every way, it is hard to split the sides as they stand, and it truly looked like Tiwi had peaked at the right time before its massive loss last week. The Crocs have been similarly shakey in big games, going down to each finals contender at least once this year despite a more consistent season overall. Both sides will lean on their firepower forward of centre, with Jess Koopman and Michael Mummery spearheading the Crocs attack, while Jason Puruntatameri and Austin Wonaeamirri come into the game with 17 finals goals between them. Given the free-scoring nature of these two up to this point, expect some fireworks and a cracking contest as they put it all on the line for the chance to play off in a grand final.